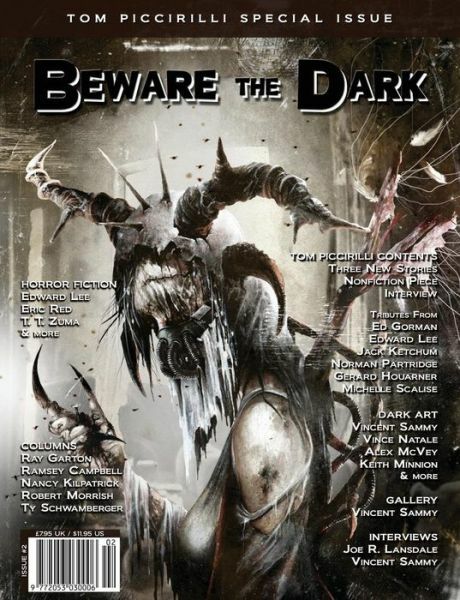 SST Publications is very proud to announce the release of the Tom Piccirilli Special Issue of Beware the Dark magazine. This very special issue features three brand new stories by Tom Piccirilli and a very moving nonfiction piece. There’s also an interview with Tom and some of the biggest names in the genre pay tribute to Tom and his writing. This is a very special issue that fans of Tom Piccirilli will want to own and keep forever. “The Baby” by Edward Lee was originally published as a limited edition chapbook by Bloodletting Press in 2003. Available from Amazon & SST Publications. Previous Post Signing On Saturday! Next Post Deep Dark Woods — Available for Pre-Order!